Does Mileage Matter When Buying A Used Car? Buying a used car can be quite difficult and confusing – especially when the topic of mileage comes up. Mileage is often a huge factor in determining the price of a used car, so many people think that low mileage cars are always a better deal than high-mileage cars – and will last longer. It seems simple, right? If the previous owner only drove a car for 40,000 km, you can probably easily get 60,000km out of the car before you need to undergo any major repairs! What a great deal! Well, like most things in life, it’s not quite that simple. While there are good reasons to buy a low mileage car, it’s not always the right choice. In order to help you determine whether or not to buy a low mileage used car, let’s take a look at some of the facts about car mileage, and the effect that it will have on your vehicle. As a rule, this is true. A car with fewer kilometers driven will generally last for a longer time before it requires major repairs. This means that you can enjoy a lower cost of ownership, and a more reliable car that won’t require constant maintenance. However, there are exceptions. A car that has over 200,000 km on the odometer but has been cared for well throughout its entire lifespan will be a much better purchase than a car that has 75,000 km logged on the odometer, but has been neglected by a previous owner. So while low mileage cars are usually in better shape, it’s important to make sure that the car you’re buying has been cared for properly. Otherwise, you risk wasting money on a low mileage car that ends up costing you a lot of money in repairs. This is true. It’s easier to sell a low mileage car for a good price, because mileage is one of the primary things that buyers look at to determine the overall quality and condition of a car. If you buy a car with low mileage now, it will probably still be in relatively good condition in a few years, and you can sell it and buy another car without losing too much of your investment. However, if you buy a high-mileage car, you are unlikely to be able to find another buyer – even if you maintain the car well, most people will be turned off by the high odometer reading. So if resale value is important to you, you may want to look for a car with low mileage. As we mentioned before, low mileage cars are usually in good condition – but there are exceptions. One of these exceptions is older cars that have low mileage. You should be suspicious of cars that are 10 or more years old, but haven’t been driven very far. When cars aren’t driven regularly, they’re usually not maintained well. Cars that sit around for extended periods of time can also suffer from mechanical failures – wires and metal parts can be corroded, rubber hoses and parts tend to become stiff and brittle, and electrical systems may break down. Cars are meant to be driven – and when they aren’t, they can suffer from a whole host of problems. Because of this, you should conduct a careful inspection of any car that’s very old but still has a relatively low mileage rating. People like buying low mileage used cars. That means there’s a big market for them – and that they’re expensive. So when considering a low mileage car, think about what you’re going to use it for. If you only want to drive a low mileage used car for a few years and then resell it to get most of your money back, it may be worth the investment. However, if you’re going to be buying a car that you’re going to drive for 50,000, 100,000, or 150,000 kilometers, low mileage doesn’t really matter as much. If you can find a good deal on a well-maintained, high-mileage car, you’ll pay a lot less – and likely get the exact same performance to boot. Mileage is a great way to get an idea of a car’s overall health and functionality – but it doesn’t tell the whole story. In order to choose a great used car, you have to consider many other factors. You have to consider how well a car has been maintained, whether or not it has been involved in any accidents, how old it is, what repairs have been done to it, and many other factors. 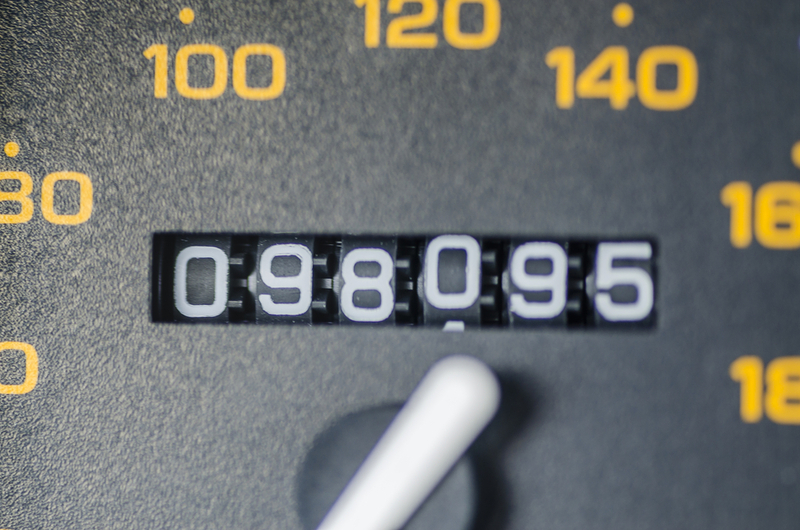 Mileage is part of the puzzle – but it’s not the “be-all-end-all” of used cars. There’s no guarantee that a car that’s only been driven for 20,000 kilometers is in great shape – and a car that’s been driven for more than 150,000km can easily provide you with years of reliable performance. It all depends on the individual vehicle. Looking For Great Used Cars? Come To Ride Time Today! At Ride Time, we have a huge selection of incredible used cars at fantastic prices. We offer a wide variety of high-quality vehicles, and we guarantee the quality of each and every one of our cars. Each and every one of our vehicles goes through an extensive testing process to guarantee quality, and you can browse our selection of cars, trucks, and SUVs online using our innovative 360 degree viewing system, which provides you with a comprehensive look inside each of our vehicles. Whether you’re looking for a late model low mileage vehicle or a well-maintained, high-mileage car, Ride Time has the best selection of used cars in Winnipeg. Come in today – see for yourself.